The Lord promises if we pay Him a tithing (10%), He will open the windows of heaven and give us blessings beyond our ability to receive them. There are millions of faithful Christians who pay their tithes to the Lord and are richly blessed. Here are five stories that demonstrate the importance of paying tithing. “My mother was a widow, with a large family to provide for. One spring when we opened our potato pits she had her boys get a load of the best potatoes, and she took them to the tithing office; potatoes were scarce that season. I was a little boy at the time, and drove the team. When we drove up to the steps of the tithing office, ready to unload the potatoes, one of the clerks came out and said to my mother, ‘Widow Smith, it’s a shame that you should have to pay tithing.’ … He chided my mother for paying her tithing, called her anything but wise or prudent; and said there were others who were strong and able to work that were supported from the tithing office. My mother turned upon him and said: ‘William, you ought to be ashamed of yourself. Would you deny me a blessing? If I did not pay my tithing, I should expect the Lord to withhold His blessings from me. I pay my tithing, not only because it is a law of God, but because I expect a blessing by doing it. By keeping this and other laws, I expect to prosper and to be able to provide for my family’”. When we pay 10% of our income to the Lord, we get more than we give. Though many times we receive spiritual blessings for paying tithing, sometimes the blessings are temporal. When Edward Stokes Rich was 12 years old he worked at night for a local newspaper to help his single mother earn money for his family. Whenever Edward received money he gave it to his mother, who’d pay tithing on it. One time his mother said, “Edward, I know that you have no overcoat, and you must walk many miles to and from work each night. With winter coming soon, it’s going to be very cold when you walk home at four or five o’clock in the morning. So I’ll give you your tithing money and you can either pay your tithing or buy an overcoat. I’ll leave the decision up to you.” Edward hurried to the Bishop’s house and paid the tithing. The next week Edward’s Aunt Mary came over and gave Edward a coat her sons had outgrown. It fit him and was better than any coat he could have bought. Since then, Edward’s decided to always pay a generous tithing. Personal Notes: Tithing’s a wonderful opportunity to show our gratitude to the Lord. Though my father never made much money in his career, our family’s been provided for. I remember one blessing our family received from paying tithing. For about eight years my parents rented a house in New Hampshire. Eventually our landlord offered to sell us the house for the same amount at which they originally had bought it. They even counted the eight years of rent we had paid as the down payment for the house. We bought the house for about four times cheaper than its value. I believe the Lord blessed because we were paying a full tithe. To learn more reasons why Latter-day Saints (Mormons) pay tithing, visit Mormon.org. I’m so blessed with the message. God will bless you all. At that time, I was a soldier in the Indian Army and my pay was not much. More over my wife was expecting our first baby in a few months, in the extreme winter of Kashmir. It will bring many fresh expenses like buying coal to heat the room, clothes for the baby, post-delivery treatment of my wife etc. I could not afford to pay one tenth of my income. Before my conversion, I was making illegal income like stealing from the army store, taking bribe, which you can call it as ‘gift’ in the Indian language. But now after my new-birth, we decided that we will not have any illegal income or gifts in our house even if we have to live on a shoestring budget. As I was going home, my Pastor gave me a few old magazines. I love reading and so I read them. Surprisingly there was an article on tithing and giving on each of those 3 magazines. God opened my eyes to see that the pastor was not teaching me to grab my tithe for him or his ministry but for my sake, as an investment for my financial prosperity in the days to come as I walk with Him, as promised by God in the Bible. Then I realized that I could not afford not to give my tithe if I am really interested in the financial blessings of God. Financial prosperity or self-sufficiency with reasonable prosperity was the plan of God. But to get that promise God put a condition of bringing the Tithe. My responsibility was to obey God. And it is His pleasure to give what He promised with that commandment or requirement. I decided to pay more as I am a New Testament believer saved by grace and living under grace, according to my ability as per the Bible. 2 Corinthians 9:7 “Every man according as he purposeth in his heart, so let him give; not grudgingly, or of necessity: for God loveth a cheerful giver”. So instead of Rs. 48, I gave 55 Rupees and let me tell you that it was a sacrificial giving. My heart rejoiced that I could be a partner in God’s evangelistic work by giving a part of my income. I was not happy but very happy, though it did hurt me to give that much money. Next week I was in my office and I asked for a short leave to go and buy ration from the Army store. Another person sitting on the next table told me, “You are going to buy rice and wheat flour? How much rice do you want? I can give you that for just half a rupee per kilo.” Another person on the other table said, “Mr Vargis, how much wheat flour do you want? I can give it to you for 62 paise per kilo.” It was almost three times in the army store. They told me that Govt. of India is giving wheat flour and rice to the citizens of Jammu and Kashmir at that subsidized rate and they two are working as part time accountants in different ration supply stores and so they could get me rice and wheat flour as much as I wanted. Another sergeant from the ration supply depot came to my favor saying, ‘There is a special price for officers to buy vegetables. I can give you vegetables at their rate plus best quality coal, all at subsidized rates’. This was a miracle. I was sitting on that table for the past two years and working with them. These two civilian clerks were my best friends. They never gave me that offer, but after I paid my tithe, God opened their hearts and my expense fell and fell to the bottom. I was still on a limited budget but I did not lack anything. I was buying gospel of John and Soul Winners New Testament to give to every soldier coming to my office to collect stores. Then our first son Aby was born on 19thJan 1972 when it was snowing in Kashmir. People came to see the new born. According to the custom of Jammu and Kashmir every visitor thrust some money into the small palm of our son, Rs. 1 or two (paper money). It is the culture of that land so the parents will have some extra money with them at that hour of need. But I decided not to take that money for our need but to donate it to an orphanage as a token of our gratitude for giving us a son after 4 years of marriage. The miracle did not stop there. Later I was told that I don’t have to go to the supply depot to buy the coal, but it will be delivered in my house at no extra cost. Praise God. I pay my tithe. Lilly pays her tithe. All my children pay their tithe over and above 10%. We encourage you to pay your tithe – faithfully. As you pay, look at the seeds you are planting in God’s vineyard and expect a harvest. You will get it and your children will have it too. Let me take a leaf from the life of my father. He was born in 1905 (?) in a poor family. He studied in English medium school. He had his own business even at class 3 or 4, like taking care of a lamb he had bought. That one lamb multiplied year after year. Later he started a saving scheme (chit fund) of Rs. 5 when he was in the high school. This was a large amount during those days. Somehow he failed in the high school exam because of his attention in his business. So he decided to look for a job. He heard that there was a vacancy of a Superintendent in a rubber plantation and he applied. When he went to meet Mr Antherper at Adoor for the interview, he knew that he was wasting his time. There were 4 others, 3 high school graduates and one Intermediate graduate which was a very high education on those days. Papa had another problem – he was stuttering person. He used to stammer while speaking in Malayalam and it was almost impossible to speak English. If he was facing strangers, he had to jump to get out of the ‘stammering mode’ and speak. He stood before Mr. Antherper. He stammered to answer each question starting, ‘what is your name?’ For every sentence he had to jump to come out of the stammering and utter the first word and then he will speak without stopping. When the interview was over he knew he wasted his time. After the interview, they were all sent to different areas to assess the rubber estate property and give a report, which my Papa thought that he had done well. When he was returning on his Humber bicycle, which he bought from his ‘saving scheme collection,’ it was getting dark and he was hungry. He had already consumed the food his mother had packed for him. He wished he had a penny to buy a ‘vada,’ but his pocket was empty. He had to cycle over 10 km to his home and there was no proper road during those days. He was tired. He parked his bicycle by the road side and laid down on the grass. He remembered the Bible story his mother taught him and had read in the Bible: Jacob was in the wilderness alone and he prayed to God. = I will walk with you and worship you. = I will pay my tithe to you. He is from an eastern orthodox church. During those days, not all families had a Bible. He did not know what it means to walk with God or pay tithe. But he made a covenant. He went back. His evangelical mother told him about the Lord God of Abraham, Isaac and Jacob and assured him. “God can – now or later, but He will. We will pray.” He waited for his next chance. The LORD God of my grandmother did it for my father. My Papa kept his word and walked with God. At the age of 76 he got closer to God and became a Bible believing born again Christian. But let me tell you another leaf from his life. My father was a religious Christian and did not belong to a Bible believing church. But he had faith in God which he inherited from his evangelical church member mother. He always talked about the God of Abraham, Isaac and Jacob. He read the Bible stories as he had plenty of time after his work. He taught us the Bible stories in the evening daily family prayer. He will walk through the rubber plantation where he worked, sit at a place of his choice and pray beating his chest asking God to bless him. One day in 1962, he heard that the neighbor was selling his 10 acres of land and going away to another city. He took me to that land when I came on my first holiday after my Army basic training. I was 20 years old and an agnostic, having a mixed faith of Hinduism, black magic, sorcery, hypnotism but very little faith in my father’s Lord Jesus. I was more of a non-Christian than a nominal Christian. I did not go to the church for years. He asked me to give the money I had so he may give advance to a small plot of that land, which is half an acre. That 10 acre land was in the names of several members of a family. At that time my father was broke due to a series of calamities that drained his bank balance. And in 3 years’ time he purchased the whole 10 acres of land and more later. He believed, he prayed and God helped him. As you walk with God and pay your tithe, you can expand because expansion is the plan of God. I am so blessed by you tithing testimony. I really had the intent of looking for ideas how to encourage people in my church to tithe. I am a tither after several pastors patiently taught me about it added to how God revealed to me His great providence on ones obedience. I am now in a church where a Pastor and his family believes in Malachai 33:10 but DO NOT practice it. I have been praying to bravely stand up one day and share my tithing testimony to them. I want them to experience an abundant life..not because of overflowing money but of God’s favors and graces. Please allow me to share some lines of your own testimony. And help pray that I would be guided by the Holy spirit in doing so one day….God bless! Thank you for sharing that to all of us. Indeed I learned a lot. May God bless you abundantly. Am the chairperson of Mary Queen of Apostles, Dagoretti market parish. We started tithe offering last year and every month it kept improving. Christians are now proud in giving of tithe since we have been able to do so much what would required fund raising in the past years. We have constructed a perimeter wall round the church compound we are now in the process of constructing modern washrooms. Kindly send me motivation stories so that I can narrate to our Christians. GOD BLESS YOU MORE. CONTINUE TO BLESS THE LORD FOR HE WILL BLESS YOU MORE. God bless you for sharing your testimony. I am encouraged and ready to obey God in paying my tithe from August 2017. 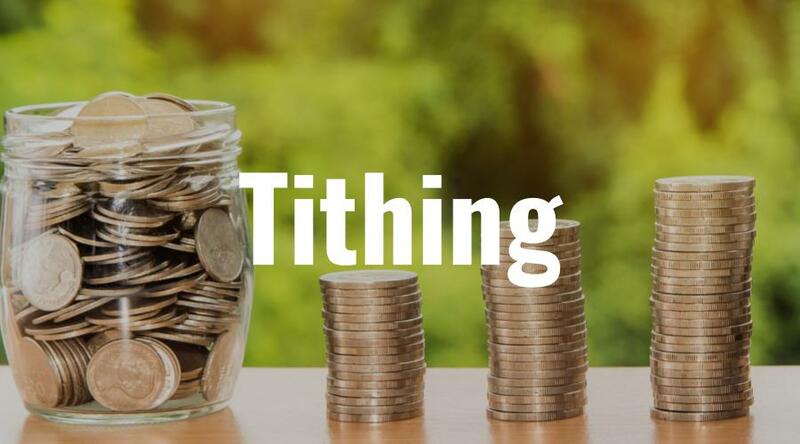 I’m a freelance academic writer and I can attest that Tithing is a important for every Christian. Last year December, I had just moved out of my parents house and rented a house with an expectation to make a living out of my freelance writing job. By then, I was working with an Australian website and I was confident I would manage to earn some good money form the website to help pay my rent, send something to my parents and save for the future. However, one week after renting a house in town -away from my parents place-the website went down as they had few jobs to sustain their writers. I remember by then I had a debt from my mother that I got while moving out to help pay rent deposit and buy food-which I had planned to pay back in a weeks time. I was depressed in my new place and I had no strength to pray as much as I needed to. I called my aunt-a prayerful woman- and she would wake me up every morning at 5:00 with a call reminding me to pray. After three days, I saw a post on facebook ‘looking for experienced academic writers to work online-weekly payments via Paypal.’ I applied and received my test job which got a 5-Star Rating. I received my weekly payment and despite the debts that I had accumulated, I paid 10% of my earnings to my church. The next week, I received more job offers and was rated the best writer and got a payment bonus. However, I did not pay my tithes since thereafter, I can attest that things were rough-my life was a mess- till recently when I got back to church and despite the financial problems and few jobs offers this month, I have perfect peace in my life. I have decided to pay my tithe first after every payment before committing my money to pay other bills. I have been following youtube sermons and online posts about tithing and I am now committed to obey God, be prayerful and be faithful in my tithing/giving. May the Almighty Lord guide my through this journey. Over time I have learnt that when I was not tithing, I was struggling to get new clients, dealing with anxiety issues, felt depressed, got bad reviews from clients e.t.c. However, when I tithe I find peace within myself and always get referrals and good reviews from clients. I read Malachi 3:8-10 and got a better insight about tithing. I’m now back on my tithing lifestyle and will come back here with a testimony. 8/6/18 – I am Catholic and yesterday for the first time I tithed 10%. $94.17 I had to keep money for gas, so I actually caused myself to be $110 short in my rent. It leaves me with $14 for the next two weeks. I am going to trust in God that I will be ok. My gas tank is just above half way. I “should” have enough food for the two weeks. I have never been a regular tither but this year out of gratitude to God I tithed 10% of most recent income. This has resulted immediately in giving me peace and assurance that God will meet my needs and has brought the spiritual benefit of me loosing taste for alcohol and other expensive habits like dining out. I am sure I will have a testimony to share of Gods abundant provision and peace. I am so blessed of hearing this testimony .. It is a great encouragement to read such good testimonies….especially of Mr. P.G.Vargis. Even i never believed in tithing but once i started to give tithe to my local church, i started to reap its fruits, just as promised by God Almighty in the Bible. I was just an ordinary cashier when i started attending a believers church in Bangalore, India about 22 years back and now God has lifted me up and given me a high position to work as Corporate Materials Manager for a group of companies. May our Lord and Savior Jesus name be glorified.